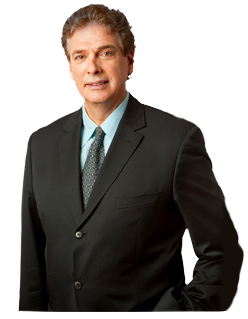 How To Find The Best Divorce Attorney In New York City? The first step for most people who wants to file for a divorce is to retain a legal counsel. Some spouses would hire an attorney after they filed a divorce. If you are getting divorced in New York City, you have many different ways on how to find a divorce attorney for your particular divorce case. A very easy way is to check your local bar association’s website for a list of NYC divorce lawyers, at this address: https://www.nycourts.gov/attorneys/nybarassociations.shtml. In some cases, a court-sponsored attorney can represent you, but may not be appropriate for more complex cases involving aspects such as domestic violence and child abuse. In addition, you can utilize a volunteer attorney, he or she can provide a free but limited legal advice. They can be reached at volunteerattorneys@nycourts.gov. Moreover, asking for referrals from friends or another attorney is another best way to finding a divorce lawyer. You may also search on Google “divorce lawyers NYC”. You will see a good amount of results for you to review. Considering client reviews, the attorney’s years of experience and area of concentration are key aspects of find the right divorce attorney. Researching your divorce attorney through these methods will help build confidence before making a phone call. When you do meet with an attorney, or following an initial consultation, you will have a much better sense of their approach, legal strategy, and personality, for example, to help you make the right decision.